Do you like to share lots of useful details? Have you ever been asked to “keep it short?” Do you struggle to fit your content into the time allotted? If yes, then keep reading. “Not good,” she replied. “That would be more of a burden than a gift.” “But you told me you love mangoes!” I teased. “Yes, but that’s just too many mangoes!” she replied. “Well, when you are asked to share the gift of your expertise in a meeting and you over-talk, or overload people with too much detail, it’s the same thing. It’s a burden that they need to sort through in order to get what they really want and need.” “Too many mangoes,” she said. “Exactly,” I replied. 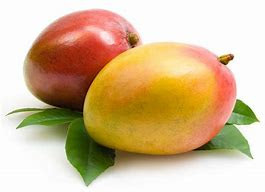 Too many mangoes became the coaching phrase the class used to coach each other whenever they observed another classmate going into too much detail. This, in turn, alerted the speaker to be more self-aware and thus more able to use the content-management tools learned in class. 3. Come in under your allotted time. The result? You’ll be giving two gifts: Knowledge AND time!